Telecommunications innovator Vonex Ltd (ASX:VN8) has successfully completed its recent trial marketing campaign. In the past two months the company has undertaken a marketing campaign targeting south-east Queensland. During this period, Vonex has delivered a variety of content, including custom video and static ads. The company’s aim in this marketing stage has been to achieve greater brand awareness and gather audience intelligence. This is being achieved through an integrated approach, which has involved substantial split testing and analysis through powerful third-party software and tools. Success has been evidenced by the influx of new traffic to Vonex’s website, where the trial marketing campaign has driven an increase in traffic of 114% compared to the monthly average. This initial trial stage has already resulted in growing enquiries and sales conversions. However, Vonex remains a speculative stock and investors should seek professional financial advice if consideri8ng this stock for their portfolio. As management shifts its focus to the marketing campaign’s next stage, customer acquisition and branding, Vonex expects further sustained website traffic growth and growing new customer leads online and through channel partners across the country. Specifically, Vonex will target National Broadband Network (NBN) rollout areas in the major capital cities in Australia. On 31 August 2018, the NBN published their updated plan for 2019-2022 which detailed the construction status and connection statistics for households and businesses. 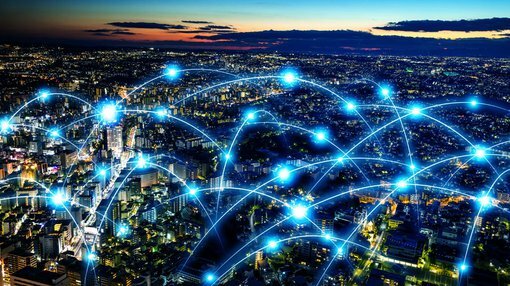 According to forecasts within the plan, of the 4 million addresses the NBN is currently available to but haven’t switched, around 1.5 million businesses and households will switch within the next 12 months. 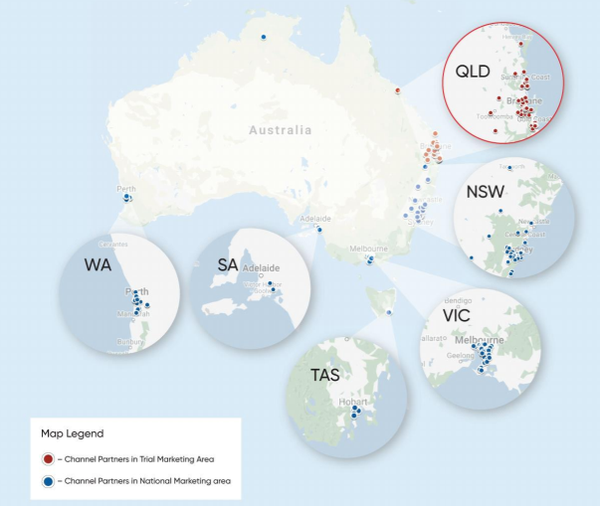 Using analytics from the trial marketing campaign, Vonex will expand its immediate marketing efforts in the capital city areas where the channel partners are most active and focus on areas where NBN is available but not yet connected, or construction is complete and the area is becoming available. Management confirmed it is very pleased with the delivery to date of its channel partner network in the NBN roll out areas via their comprehensive coverage. Vonex is working with channel partners on a reworked incentive scheme which the company believes will better leverage the existing network, as well as leading to the onboarding of additional partners to coincide with the marketing rollout. The following map shows the company’s marketing area coverage, also noting the locations of channel partners. Vonex’s shares have surged 35% September, no doubt assisted by its fiscal 2018 result which featured record revenues and a turnaround in underlying earnings from a loss in 2017 to EBITDA of approximately $250,000 in 2018. Management’s outlook statement was also bright as it pointed to significant development milestones with itsOper8or app ahead of the anticipated soft launch in calendar year 2019.